Can you imagine an app that allows you to privately share photos and videos with a specific group of people? An app that saves you the time and the annoyance of asking your friends and family to send the photos of some event you’ve been to? Well, we have what you need and it is called PicNut. PicNut is a cross-platform app that offers amazing features and it created with even more amazing design. 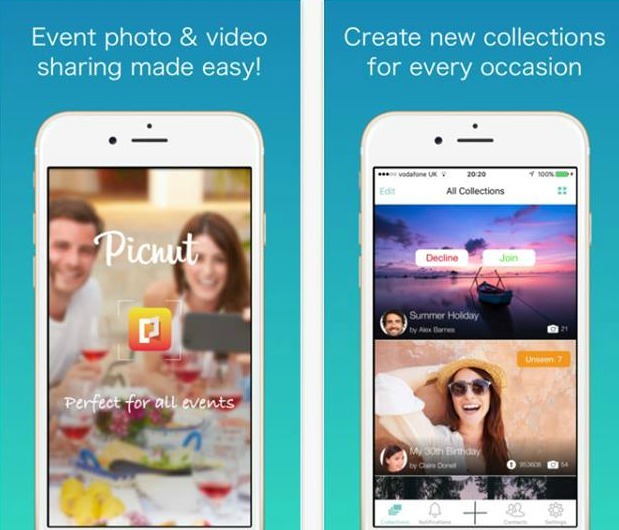 Simply create collections with the photos and videos you choose and get ready to post them inside a private group. You invite the people in a particular group and you choose if you want to share them manually or automatically. With the auto-add option you can auto upload files from your camera and send them to one or multiple friends. No need for an email signup, just register with your phone number and enjoy the app with no in-app purchases. You can also store and save the images and videos with simply syncing your account with Dropbox or Google Drive. Try PicNut, it is perfect for all kinds of events, such as weddings, birthdays, holidays, etc. Set up your own notifications and be notified if someone joins the group, when there are new files uploaded, when someone writes a comment or like anything within the Group. Download the app immediately; it is free on both Google Plat and on the App Store.